Being bit by a hamster isn’t a fun thing to experience. These incisors can inflict quite a lot of pain! Biting a habit you’ll want to eradicate as quickly as possible. 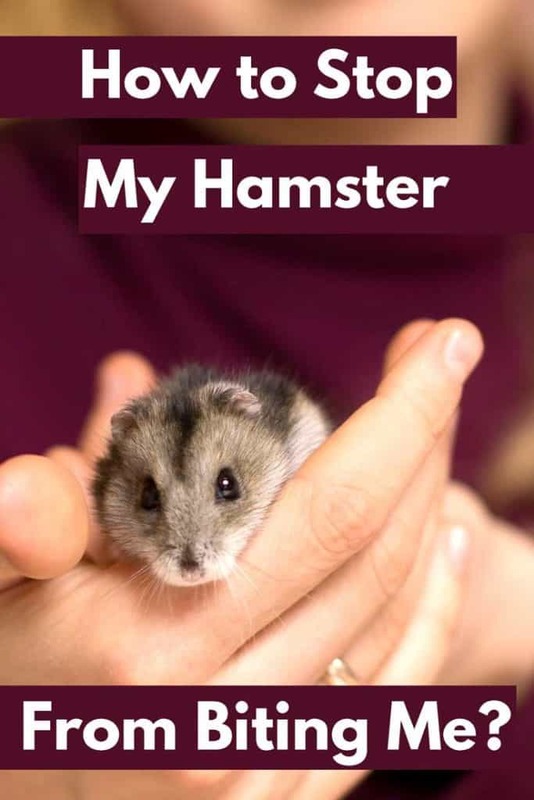 After extensively researching the topic, we have the information that should stop your hamster from biting you or others. These steps might seem a little brief, but I continue in further detail about each one later in the post. So keep reading, and we’ll make sure this habit becomes a thing of the past. Before we get to the steps mentioned above, it’s essential we discuss the reason why your hamster is biting you. This discussion will help you understand what you might be doing wrong; it will also demonstrate how to approach the steps later on in this post. Why does your hamster bite you? Hamsters will most often bite their owners because they feel threatened. It’s their natural reaction to being put into situations where they feel some sort of fear. It comes from being prey animals in the wild and needing a way to protect themselves. They aren’t a tamed hamster: your hamster wasn’t handled enough at the pet store or breeder. It didn’t receive the right amount of socialization before entering your home. You startled them: hamsters are finicky animals who don’t respond well to fast movements. It’d be a good idea to keep all your interactions with your hamster at a slow pace. Feeling territorial: If you’re poking around in their homes, your hamster might see you as a threat and react unfavorably. 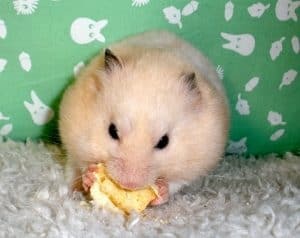 Lingering food smell: hamsters don’t see very well and might be biting you because they perceive your fingers or hands as food. Your hamster will be nervous for the first couple of days after you bring them home. It’s only natural as an entirely new environment can throw anyone or anything out of whack. Giving them a week or so to get acclimated should help them feel less threatened. During this time, you should refrain from touching them as much as you can. But you can do other things to help them get comfortable with you. I’d recommend introducing a tissue with your scent on it into the cage; you can create this scented tissue by putting a tissue in your sock and walk around for a few hours. Hamsters rely heavily on their sense of smell, as their eyesight is awful, to survive. And since your scent will be all around their cage thanks to the scented tissue, it will convey your scent as being safe. The scented tissue idea isn’t the only thing you can do to make the first week go more smoothly. Talking to your hamster during this first week can do wonders in making them more comfortable. I’d recommend sitting right next to their cage and telling them about your day. I know, it sounds weird, but it’ll further convey that your presence isn’t a threat. If you don’t know what to say, you can even sing or read. Any communication will help your hamster get more acclimated to you being in your life. It’ll help develop a trusting relationship where you start resembling a friend rather than a foe. The whole thing where your hamster sees your fingers/hands as food is a real thing. I admit it does sound a little ridiculous that a hamster could mistake your finger as food. But their eyesight is that bad, and their scent of smell compensates for it by being incredibly powerful. Which is why it’s a common occurrence for a hamster owner to get bit right after eating a meal. Read more: What Do Hamsters See and Hear? Most likely, either the owner didn’t wash their hands or do it thoroughly enough. Both scenarios will cause the hamster to think your hand/finger is food. This realization will make them bite you and lead to a painful experience for you. Another issue that could make a hamster attack your fingers/hands is the smell of another animal on them. Let’s say; you just got back from petting your dog and start moving things around in their cage. The hamster’s nose will recognize the dog’s scent on your hands and attack them out of fear. It’s similar to how a dog will bark at a new person entering what they consider their territory. The solution for this issue is rather simple; wash your hands before handling your hamster, especially after eating or petting another animal! It will make sure you don’t bring any unwanted smells into your hamster’s domain. Scooping your hamster up in fast motion isn’t the answer; this action will only scare them further. Instead, anytime you put your hands in the cage, you’ll want to do it slowly and cautiously. If you intend on picking hamster up, you should let them smell your hand first as well. It will allow you to determine whether or not your hamster’s in the mood. If they aren’t in a socializing mood, your hamster will most likely ignore your hand. Your hamster ignoring your hand isn’t the end of the world. It’s actually a normal thing for them to do and you shouldn’t force the interaction. Just continue putting your hand inside the cage for five or so minutes every day. Once your hamster is comfortable with your hands inside the cage, it’s time to start building the trust. You can do this with your hamster by offering them treats. Like with any pet, hamsters will be more friendly when given special treats. I’d recommend offering your hamster some vegetables or nuts as these two items tend to be their favorite. Just remember – treats should never make up more than 5% of your hamster’s diet. The rest has to be a quality mix of commercial hamster food. Also, make sure you read our list of foods that are dangerous for hamsters, to make sure you avoid them. Open the cage door slowly: if you open the cage door too fast, you run the risk of starling them: making it impossible to hand the treat to them in the first place. Make sure the hamster can see the treat: hiding the treat in your hand will defeat the purpose of this whole process. Make sure you hand it to them in a way where they can actually see it. If you don’t, they might mistake your hand as food and bite you. Don’t touch them: After they start eating the treat, it’s best you don’t touch them. If they aren’t comfortable with you, it’ll only scare them and make them bite you. If you follow these rules, it’ll make your hamster see you as something that provides them with enjoyment. Soon, they’ll start anticipating your arrival with their treats. But don’t overdo it as an abundance of treats can make your hamster overweight. Repeat this process until your hamster runs over to your hand as it enters the cage. We finally reach the steps where you get to touch your hamster! This step is where the trust between you and your hamster starts to build into a fantastic relationship. 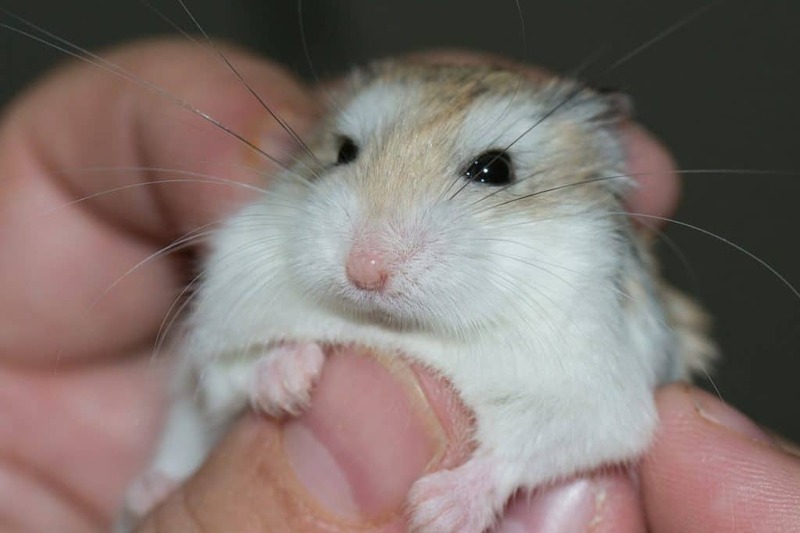 Put your hand into the cage without a treat and when your hamster runs over gently try to pet them. Start with just one finger first as it’ll get your hamster comfortable with the idea of petting. Slowly lift your finger and gently stroke their little noggin. After they seem okay with your finger, try using your entire hand. You should have a few petting sessions before moving onto the more complicated step 6. Remember – each hamster has his or her own personality. Some hamsters are friendlier by nature and like to be petted. Others, not so much. Get to know your furry friend and respect them for who they are. 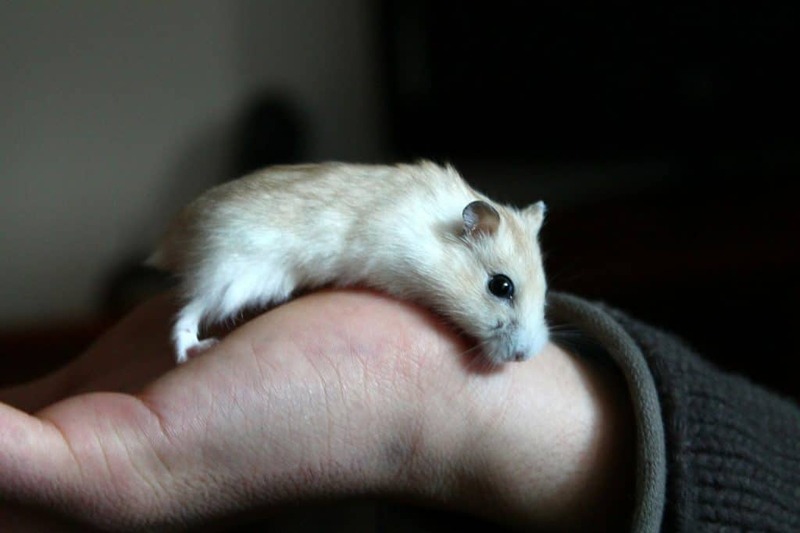 Your aim is to be able to handle your hamster as needed for providing him or her with good pet care. If you find that yours is a friendly cuddly hammy, great! If not, that’s ok too. After bribing them with treats and petting, you now have a budding trusting relationship with your hamster. It’s time for the trickiest step of all; trying to handle the hamster without it biting you. The key here is making sure you approach this step in the right way. You don’t want to grab your hamster from the top as this puts pressure on their back, which they don’t like at all. If you do grab from the top, they’ll bite you, and this whole process will be rendered moot. You should instead hold out your hand and let them climb into it. When your hamster does climb in, pick them up and start petting/playing with them. But it’s essential you don’t hold your hamster too long at first. A quick session that’ll get your hamster comfortable with the idea of being picked up should be more than enough. If your hamster does start to squirm, let them down gently. There’s no reason to force this process and doing so could traumatize your hamster. I’d recommend not using gloves during this step as they’re more likely to carry weird smells into the cage. At this point, your hamster is used to your scent and bringing in another odd smell might have unwanted results. As the old cliche goes, practice makes perfect and training your hamster not to bite you is no different. It’s crucial you keep picking them up and regularly interacting with your hamster. If you don’t, your hamster might revert back into their biting habit. I’d recommend picking them up at least once a day to ensure their anti-social behavior doesn’t come back. It’d be a real hassle to do this whole process all over again. But one thing to never do is wake them up for a training session. It’s best to schedule these interactions more toward the twilight hours as hamsters are crepuscular animals. If you do wake up your hamster, they’ll see it as an attack. Nothing good with come out of this action and it’ll only cause a regression in their training. As a hamster owner, the interactions with your pet should be kept to nighttime or early morning hours. Stick to their schedule and maneuver yours around it. It’ll end up being better for everyone involved, and you’ll avoid any backsliding. Bites will still happen occasionally even after the training is complete. It’s a natural behavior after all, and you need to be aware of it. But the most important thing to remember is you shouldn’t overreact when it happens. Don’t yell at the hamster or berate it in any way. Hamsters aren’t aggressive animals, which means them biting you was somehow your fault. All they’re doing is responding because you did something that they perceived as threatening. And any yelling or berating that does happen will only further ruin the relationship. 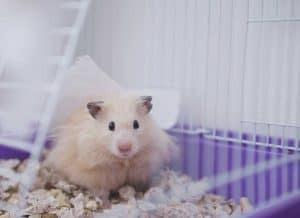 Your hamster will start to see you more and more as a threat: increasing the likelihood they’ll bite you in the future. 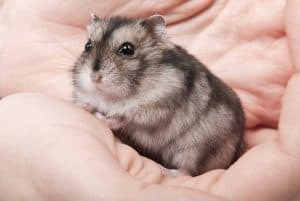 What to Do If a Hamster Does Bite You? Bites will be a regular occurrence during this process. You can’t break a habit without facing it head-on after all. So I thought it’d be a good idea to go over what you should do when it does happen. Clean the puncture wound with warm water and an anti-bacterial solution. Make sure the wound is dry and wrap it with a bandage. After a day or two, check whether or not the swelling has gone down. If it hasn’t or gotten worse, you most likely need antibiotics. And when a bite happens, think of your hamster’s well-being first. Gently lower him into its cage and wait until it releases; your hamster should release you immediately. If it doesn’t free you, gently lift your hamster off your finger. After all this reading about your hamster’s biting habits, I think you’re fully prepared to stop this behavior from continuing. Just remember, the biting is a natural reaction for your hamster, and it’s not their fault! Previous PostDo Hamsters Exist in the Wild?